it’s all good – or, is it? Funny how sayings get started and then suddenly everyone is using them. You hear them on talk shows, late night entertainers say them – they become part of the culture (almost). And, my absolute least favorite? The other day I posted some health-related info on Facebook and in the comments my sister said, “That’s my sister – the life of the party!” I laughed when I read it because I know how snarky she can be! However, she always calls me or texts me with things like what’s good for high blood pressure? what oil should I use for itchy skin? what should my friend do for kidney stones? So even though she snarks and calls me the “life of the party” I know she values my information and (sometimes) my opinion. My opinion means nothing though, folks. There is only one’s opinion that matters and His Name is God. Period. My God is always good. He is always just. He is always true. Let’s start a new saying, “It” isn’t all good but I know One who is ALL GOD and ALL GOOD, ALL THE TIME! I love your courage to shout from the mountaintops what you know to be the truth! In fear and trembling….love you. I like the message of your post – It isn’t all good, but He is! I was just thinking the other day how much I really hate that saying, “It’s all good.” Your post made me laugh out loud when I read that in your words! Thanks for the reminder that we serve an amazing God no matter what is going on in our world! Came over on Women with Intention, and I’m glad to find your site. With all the sorrow in the world, I’m glad one thing is certain. God is good and He always will be. May He give us grace to be lights in the world. May we show love and share Christ. Blessings to you! I’m visiting from Coffee for your Heart. Oh Gayl, so many amens! Keep on writing, Susan. You have MUCH to offer to the Body of Christ and I’m appreciative. I loathe those sayings, Kath…. Hey Sus…this phrase, believe it or not, helped carry me through my years at a big box store where in my wildest imagination never expected to be. But, as I learned through it all to trust the One who holds ALL things in His Hands, I found that even the most difficult of days or tasks if looked at from His point of view was good. I was serving Him, not man or mammon. 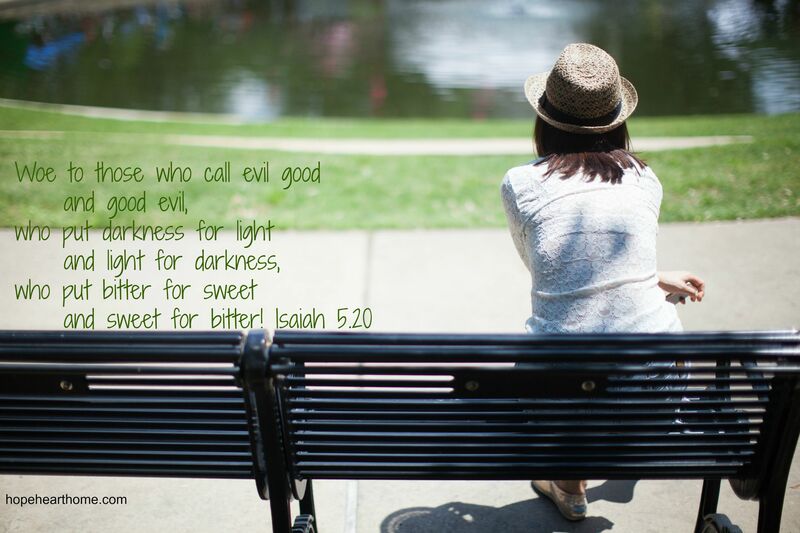 While the world’s system calls good evil and evil good (it’s only going to increase), we have the solid truth that Jesus is and will be glorified in all, through all and for all time & eternity. It’s in light of that truth that I can say it is all good because HE is all good. There is no darkness, neither shadow of turning in Him. He is in me and I am in Him. I call it the Divine Envelope. Trusting in the UnChanging ONE. Bless His Holy Name Forever. But you see, my dear, THAT is the only context the phrase can be used – but when the world says “It’s all good” I could vomit! I agree. My kids say “it’s all good” a lot. Usually they are bypassing a situation that is not good, with a “live and let live” kind of attitude. There are times that just won’t work and this is one of them. Ginger, you are so right – we have to be diligent to show them when these sayings “just don’t work”. Thanks for coming by. You are very right. There is so much that is so not good. But God is good. All the time. To this truth we cling! Thanks for sharing. I’m so guilty of being a “good” girl. Even if I’m in the pits of despair my canned response is “I’m good.” But God has steadily been showing me how profitable it is to let people into our lives – to admit that it’s not good. Not only does it bring help alongside but it gives others permission to share their hearts too. Nothing like His people banning together to encourage one another. I love your new saying! Tiffany, it is time to take the “I’m good” masks off! Let’s be real with one another. Thank you for visiting. Thank you for this post! I have been so grieved over the things we have seen this summer and having been praying for God’s mercy on us all. Another phrase that bothers me is, “It’s never too late” because sometimes it really is too late. I get that it means never give up, but it implies that there are never any serious consequences to our actions. Anyhoo, I get off my soap box, but thank you again for sharing this post! Christina, I’m afraid one day it will be too late for a lot of folks. What a dreadful day that will be. Another saying I don’t care for is “live and let live.” UGH…thank you for coming by. Glad you visited and commented on my ‘wrinkles and wide hips’ blog so I have a chance to visit you! It’s funny, my husband has been in the habit of saying , ‘it’s all good’, but thankfully, he also says, ‘God is good all the time’! You’re so right, It’s not all good in the world, but with God we are assured, promised, held, corrected, guided. Kathy, your post was great! I appreciate you returning the visit. We do live in an upside down world for sure. I’m SO glad that this is true like you say: GOD is all good! We definitely need that. Lisa, there would be no hope without Him. Thanks for coming by. YES! I like your saying much better. 🙂 Thanks for linking up at #ThreeWordWednesday with this truth! Always TRUTH, Kristin – so glad Cate met HIM!! !